911uk.com - Porsche Forum : View topic - Newbie to the subsection with a purchace, purists look away. 911uk.com Forum Index > 996 (1997 - 2005) > Newbie to the subsection with a purchace, purists look away. Posted: Mon Apr 16, 2018 8:10 pm Post subject: Newbie to the subsection with a purchace, purists look away. Fingers crossed and touching wood that it's a good one. This is the one that was Cat B written off. Had a major crash at the 'Ring and there was a massive PH thread about it. Previous owner was Phil997 on here...he will be along to tell you about the cheap/poor repair issues he had. Paid top money but car was still bent. Hmm, its not to late to swerve so Should I back out? I was told it was a cat D and not the story I have. It's a beautiful car in my opinion, I did want a 98/99 C2 manual until this came up, Maybe I should wait..
Looks great to me, I like the 997 style mods. HSC your so bad. even had me worried I was getting old and forgetting things. 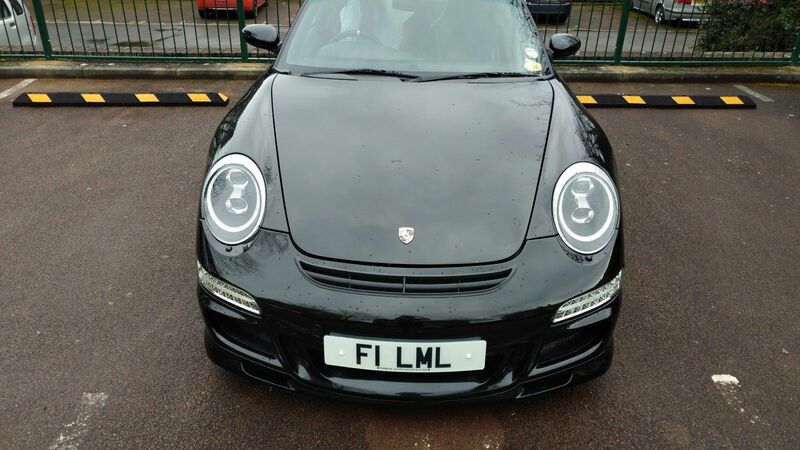 having said that the numberplate is a coincidence is it yours or did it come with the car. 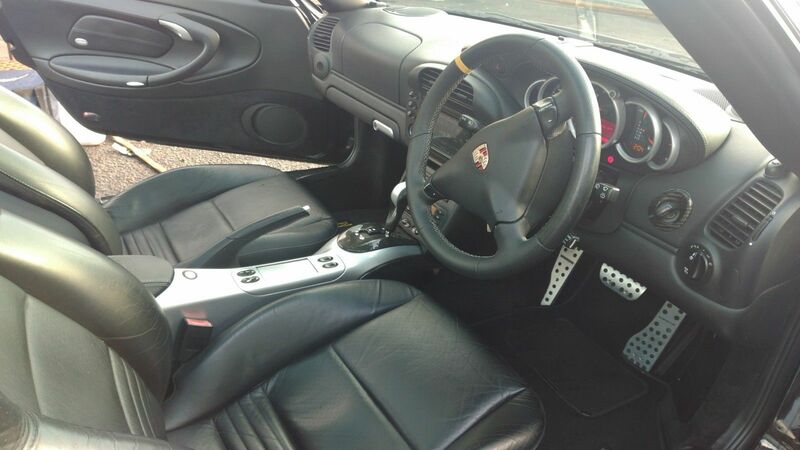 Nice 997 facelift on it, and someone has evjoyed it with the yellow seatbelts and 12 oclock band. do get it checked out before before you buy it and if its all good then enjoy . and welcome to the forum its good that your already getting banter hopefully you will contribute to the furum and give some banter back mate. and if you have any purchase questions this is the right place to get advise . It's not exactly to my tastes but I'm getting old. As long as you like it and like you say, it isn't offensive. I like the interior with the yellow accents. Just check it out well, these cars can bite you hard if you buy a wrong'un, mainly mechanically. Good luck though. Plenty of info on here if you get stuck with anything. PS You'll get used to the wind ups too. Welcome, great looking car. What rear wing is it? 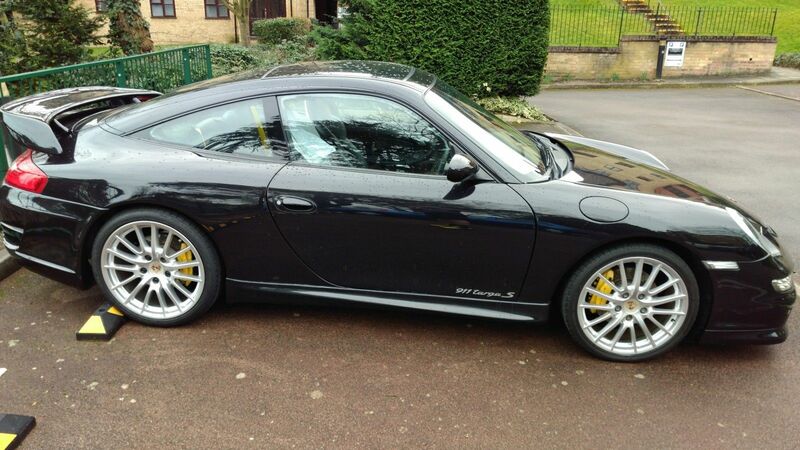 Nice 997 facelift on it, do get it checked out before before you buy it and if its all good then enjoy . and welcome to the forum its good that your already getting banter hopefully you will contribute to the furum and give some banter back mate. and if you have any purchase questions this is the right place to get advise . The plate will be staying with the previous owner, I'll be putting my dodgy one on it.. I'll check it over before I hand over the balance, I grew up in the motor trade, the only thing I cant do is a borescope before I buy. no weeps from the RMS Ive been told. Just had a look at the advert, the wheels don't look genuine Porsche to me. Screw the purists; I like it. It's a nice looking car, and has been said, has had some love and money spent on it. But I don't understand why anyone who is a PCGB member would/refer to their car is an "S "model - I assume just because it has the later (hence s) Tiptronic gearbox? Probably only bothers me, but seems to be a quite common misconception. I'm like that as well. 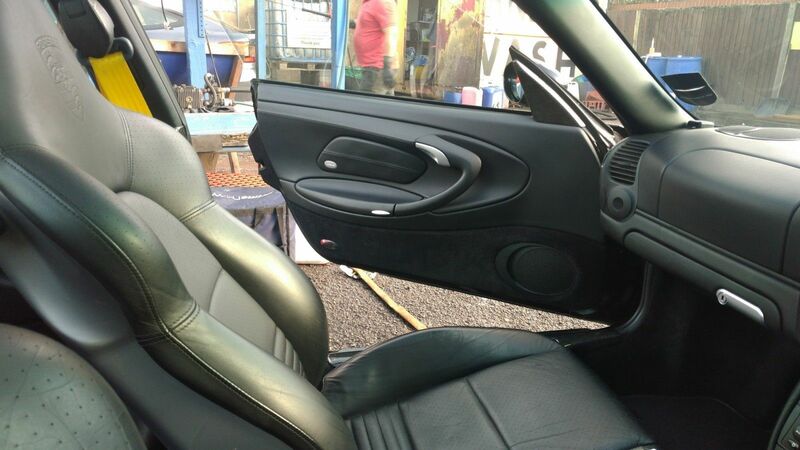 The kick plates in the doors also brand it differently as a 'Black Edition' - no biggie tho OP can take them all off if he wants to. Shame is a tip, looks pretty cool really. will look a lot better without all that nonsense on the back of it.